Running out of batteries for your calculator? No worries … this 4M kit will help generate enough electricity to power a calculator using recycled tin cans and pencils. Includes: a can holder, 2 pencils, a calculator holder, wires, 2 pencil connectors, 2 pencil holders, accessories and detailed instructions. Requires: 2 used and cleaned aluminium soda cans, pencil sharpener, water, salt and small crosshead screwdriver (not included). Age 8+ years. 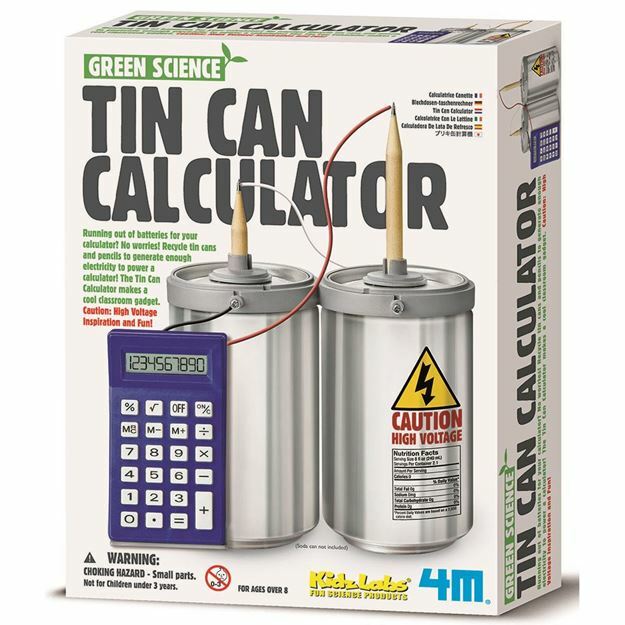 Part of the Green Science range. Distributed in New Zealand by Holdson.